Just because a vehicle has a previous owner doesn’t mean it should be avoided. In fact, here at our Honda dealer near Goshen, we have an extensive inventory of used vehicles that are in fantastic shape and at affordable prices. If you are looking for something new to drive but you don’t want to take on the expense of a new vehicle, take a look at what we have on our lot. We have a feeling you’ll find something you like. You can look through our entire inventory of used vehicles online from the comfort of your own home. Why walk around in the heat, snow, or the rain when you just want to take a look at what is available? And remember, we don’t just have used Hondas. We have used vehicles from most of the major automakers. If you are in the market for a car, truck, or van, we can help. The Honda Certified Used program takes all the uncertainty out of buying a used car. In order to receive certification, these vehicles have to undergo an extensive inspection performed by an expert Honda mechanic. If they don’t meet the standards established by Honda, they don’t qualify to be certified. You also get the benefit of a free vehicle history report and a warranty when you buy the vehicle. We offer a wide variety of monthly vehicle specials to make it even easier for you to afford a used vehicle. Our prices start out low, and then they drop even further thanks to our generous discounts and offers. Take a look to see what we’re offering this month! 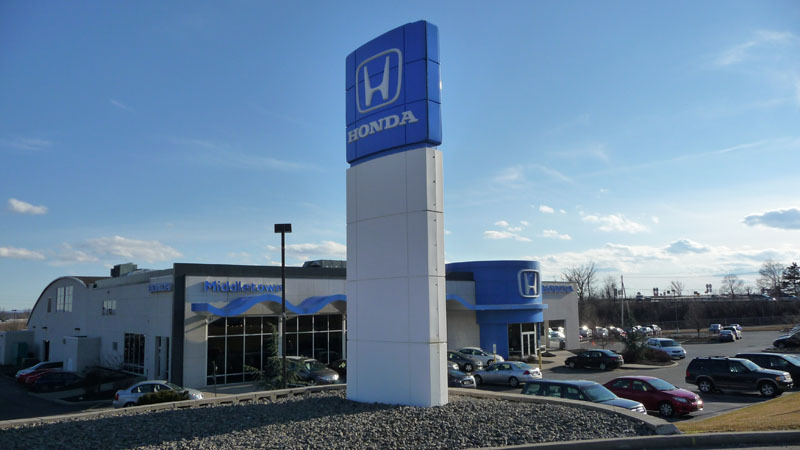 If you are actively looking for a used vehicle, or just curious about what’s out there, make your way to Middletown Honda at 520 Route 211 E. We are only 10 minutes from the Goshen area and easy to find right next to Gander Mountain. If you have been disappointed with the selection elsewhere, visit our dealership, and tell us what we can help you with.